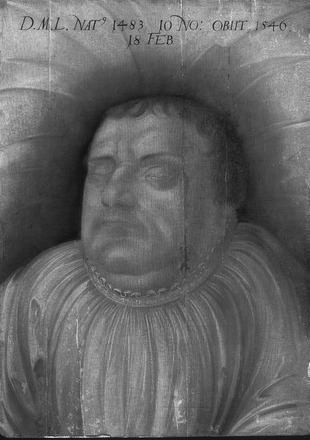 Maritain himself points out that Dr. De Coster, who examined Luther, explained that the deceased's mouth was crooked with the face black and the neck red and deformed .Likewise, Oratorian priest Bozio, in his book "De Signis Ecclesiae", published in 1592 , points out that one of the reformer's household indicated that his lord was found hanged from the columns of his bed; Dr. Géorges Claudin says the same: . 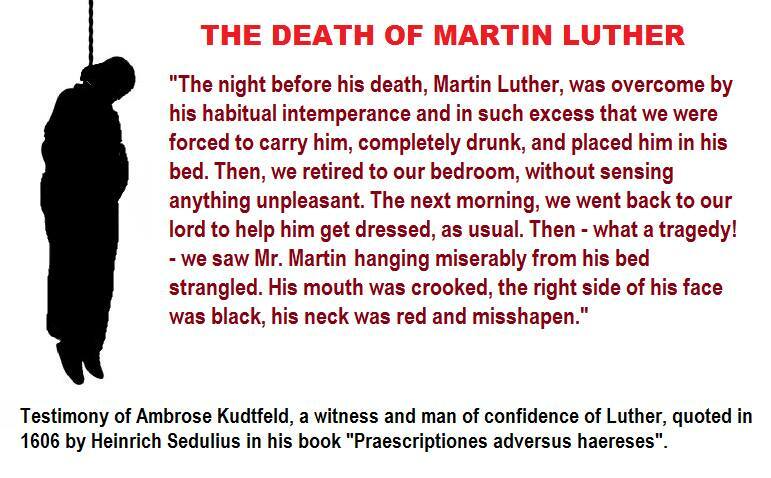 As Villa points out, "Luther, then, did not die a natural death, as has been falsely written in all the history books of Protestantism, but died as a as suicidal, hanged from his bed after a splendid dinner, in which, as usual, he had drunk too much and was satisfied with food beyond all bounds! ".